It will take place next fall the “Selection of the Mayor”, the international wine competition which aim is to promote companies and territories that produce quality wines (DOC, DOCG, IGT) in small lots (1,000 to 50,000 bottles). 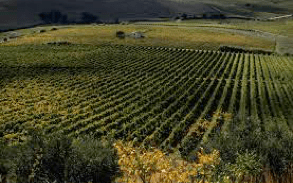 The competition is so named because participate both company and the municipality in which the vineyards are located. Promoters of the contest are the National Association of Wine Cities, and Recevin (the European Network of Wine Cities), with the sponsorship of scientific OIV (Organisation nternationale of the Vine and Wine) and the authorization of the Ministry of Agriculture. Wine Cities in Sicily are Palermo, registered since last year, Monreale, which hosted the 2007 edition, Partinico, San Giuseppe Jato, San Cipirello, Alcamo, Gibellina, Montevago, Santa Margherita Belice, Sambuca di Sicilia, Marsala, Butera, Ispica, Noto, Zafferana Etnea, Santa Venerina, Milo, Piedimonte Etneo, Linguaglossa, Randazzo, Castiglione di Sicilia e Pantelleria. Prizes will be awarded also for sparkling wines, raisin wines and wines grown in clay. Another award will be reserved also for the first three companies among those who, having won at least one gold medal in the Competition Selection of the Mayor, practice sustainable agriculture.